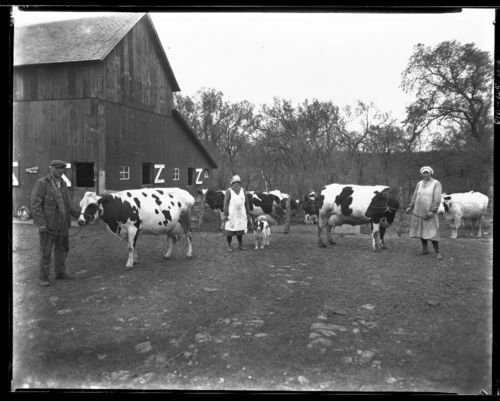 This is a view of people and dairy cattle on the Adolph Duever farm near Bremen, Kansas. A man and woman are each posed with cows, and a second woman is in the center of the photograph with a dog. Also visible are a milking machine, part of the barn, and dairy cows in a fenced corral to the right of the barn.